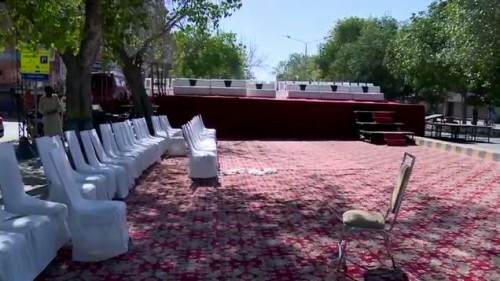 LAHORE (92 News) – The preparations to stage sit-in in front of Punjab Assembly by the Jamaat-e Islami (JI) at Mall Road on Sunday (today) have almost been completed. The grand rally would be a show of political strength of the party. The JI workers have been busy in contacting citizens at their doorsteps inviting them to attend the grand assembly for a better future. The JI is organizing the rally and sit-in against corruption. The road has been blocked from Masjid-e-Shuhada to Punjab Assembly for traffic as the party activists are gathering at the Mall Road.